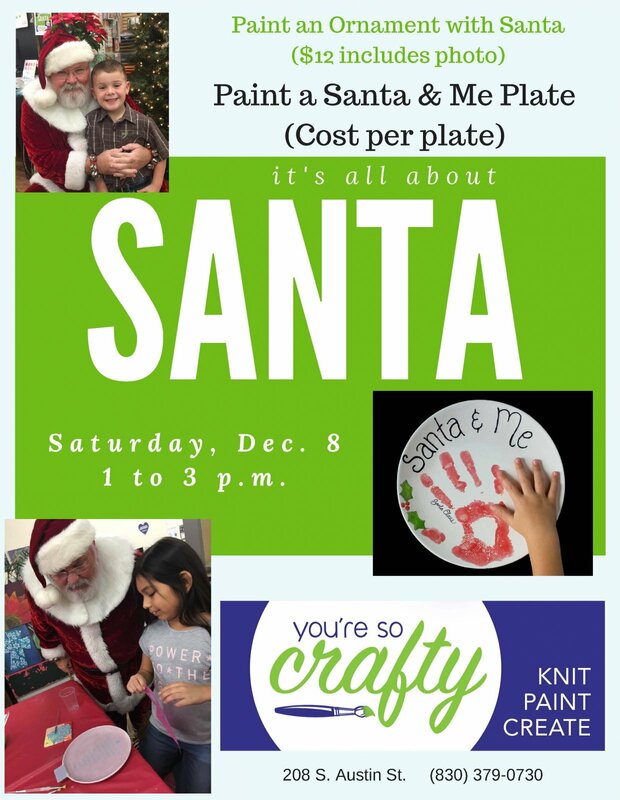 Paint an ornament with Santa and take as many pictures as you'd like for $12 and/or paint a Santa & Me plate of your choice (prices vary depending on plate selected). UPDATE - Due to popular demand, we are now taking RESERVATIONS! **Because of the time limits - we are ONLY painting ornaments and Santa & Me items. This is NOT the time to paint your special commemorative plates for Grandparents. It'll be much more relaxing to pop in and paint those when Santa is not here!